Your editor has been in Puerto Rico for the past week, a vacation that happened to coincide with the publication of the last issue of the San Juan Star. Puerto Rico’s only English-language paper shut down after almost 50 years, blaming the union for not agreeing to pay cuts that would have kept it afloat. Union officials said the closure surprised them, since management had most recently led them to believe that frequency would be scaled back to five days a week. The Star won the Pulitzer Prize for editorial writing in 1961 and once turned down Hunter S. Thompson’s application to become its sports editor. Thompson later created a fictionalized version of the paper setting for his novel, The Rum Diary. This entry was posted on Monday, September 1st, 2008 at 9:20 am	and is filed under Facebook. You can follow any responses to this entry through the RSS 2.0 feed. Both comments and pings are currently closed. WOW, What a shame. What is this world coming to? Believe me people this is happening all over our country. I recently had to write a paper on the pros and cons of the rising of the minimum wage in the U.S. and the results I came up with were scary. I don’t know if many of you are aware, but we are the most powerful country in the world. If that’s the case why is it that more than half the population in the U.S. are hard working low-paid Americans who are barely making ends meet! It’s like the working poor are invisible in America, which leads to our most vexing problems in society. Posted by Rodney. M N.Y.C. 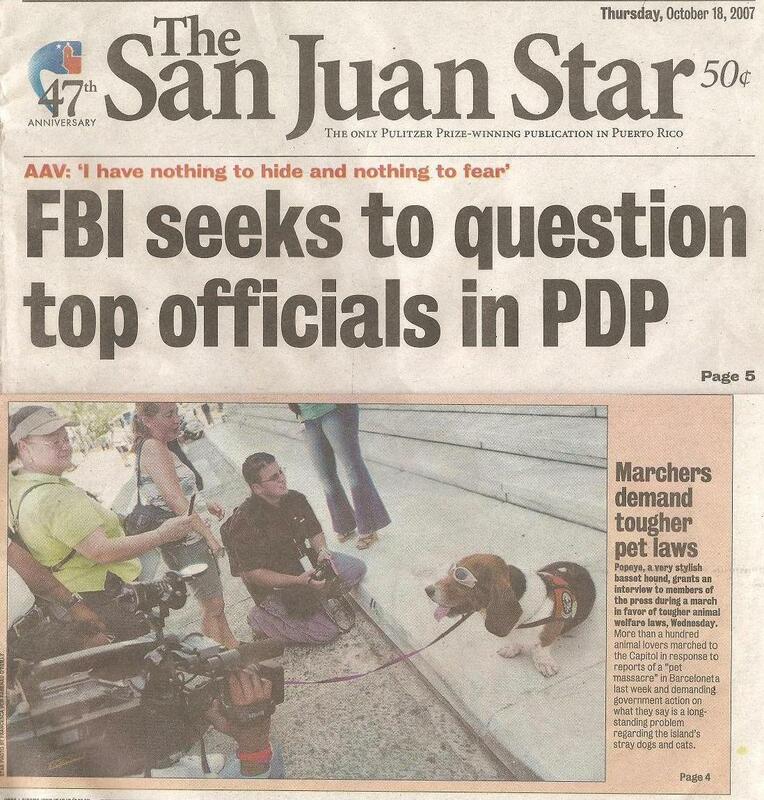 After having had my morning coffee on my balcony while reading the San Juan Star for over 40 years, I do not seem to be able to get used to other papers! It is such a shame that the Star died although I suspected that something like this might happen when the owner started publishing editions in Spanish thus dispersing the Star readership. There are so many of us mainland people living here in Puerto Rico who relied on the San Juan Star as our English speaking paper and a more comfortable link to things here on the island. What a sad day to have this wonderful paper taken away from us. How sad it is that someone else has not been able to come in and take it over and make it the great paper that all of us looked forward to daily. What a great personal loss this is to our household. My mother, Lee Massel de Hartmann, was the Classified Advertising Manager of the San Juan Star for several years (1968-73) As a result, I spent my high school years there and also worked there as a part-time proofreader during the summers. 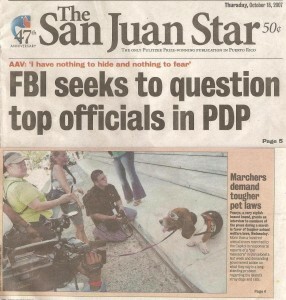 I have nothing but fond memories of Puerto Rico and the Star, and I mourn the loss of a once-great newspaper, that filled such an important niche for the English-speaking and bilingual community on the island. My father worked for The Star for many many years (starting in 1963) as a Washington correspondent. When I talked to him the other night he sounded just as great as ever, but when he told me about the closing of his beloved paper, I could sense the sadness in his voice. He told me he’s finished writing for good now and I have a feeling it’s because of this closing. Posted by Curiosity Blog » R.I.P. I joined the San Juan Star as a reporter-photographer before its first edition rolled off the press in 1959. It was a great paper with high-minded ideals, and I fondly remember its staff and its effect on the community. Although I left the Star to go on to other objectives, I felt that the paper I helped mold would continue forever. I feel terrible that it has come to an end. Bob Bone.